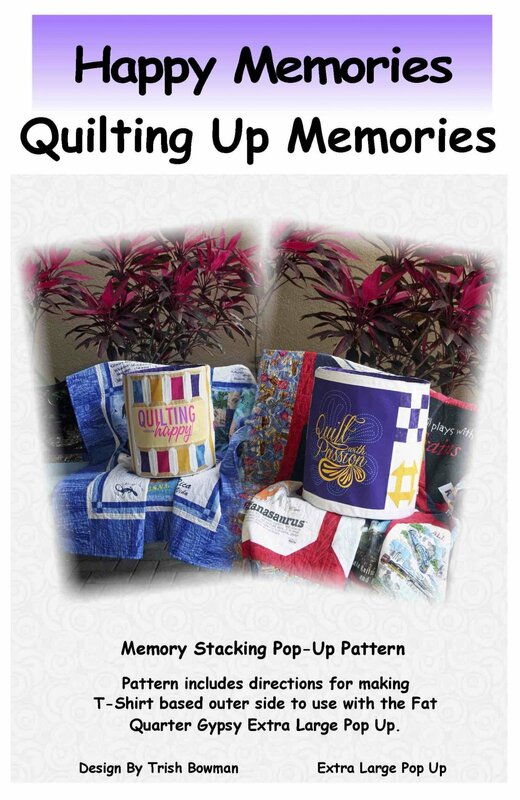 Memory Stacking Pop-Up Pattern for use with Fat Quarter Gypsy Extra Large Pop-Up. Finished size - 14" Diameter x 16" Tall. T-shirt quilt pattern without sashing. Finished quilt size is 60 in x 75 in. Basic directions for making t-shirt blocks included. 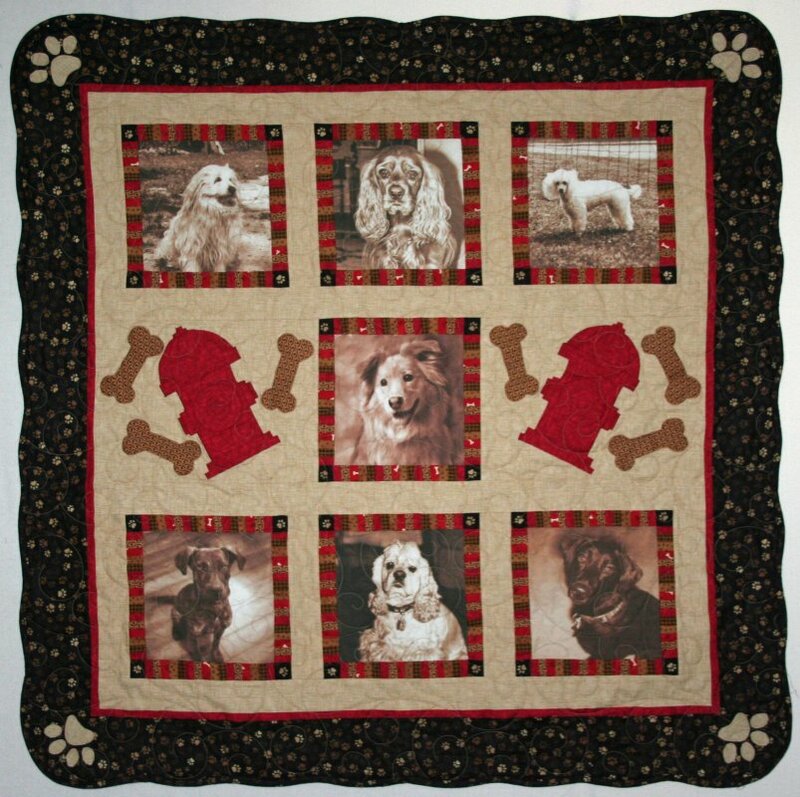 Photo Quilt Pattern. Approx 46" x 46" finished size. 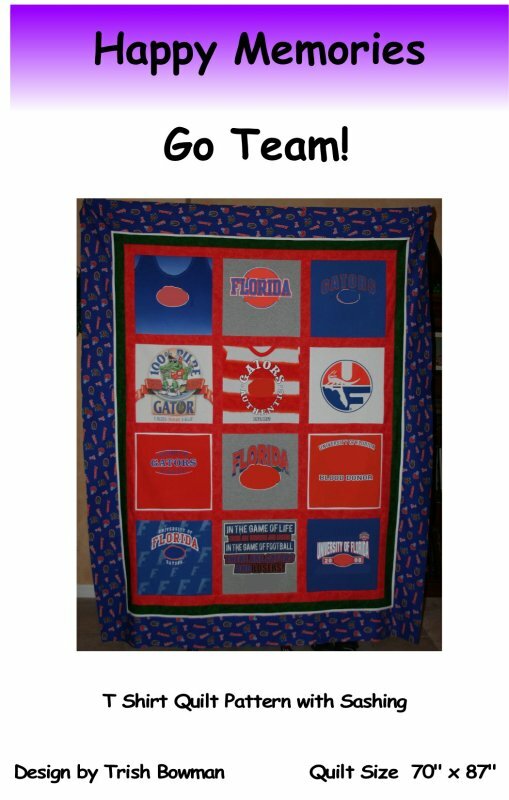 A novel memory item - turn T-shirts into one of a kind pillowcases! Finished size is 20 in x 32 in. Three different patterns and basic directions for making t-shirt blocks included. 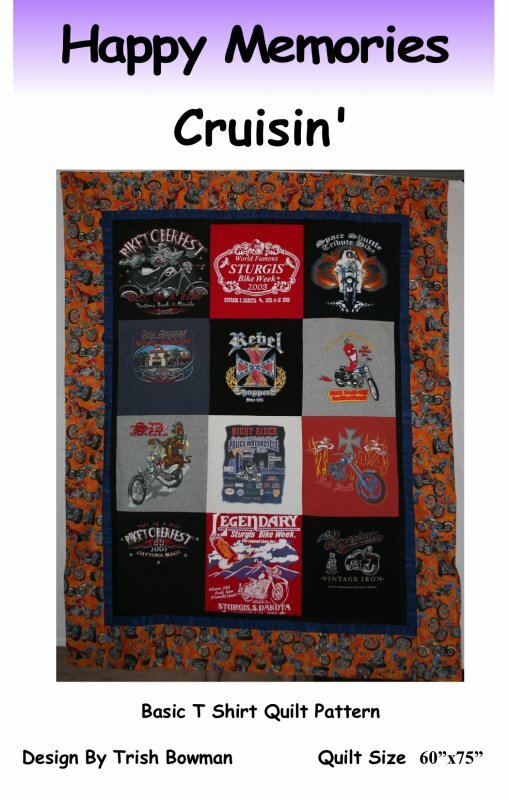 T-shirt quilt pattern with sashing. Finished quilt size is 70 in x 87 in. Basic directions for making t-shirt blocks included.